This entry was posted in Latest News on April 28, 2016 by EMP Medic. 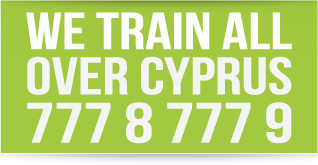 We would like to announce a training program that allows you to carry out security guard duties, by being approved by the Cyprus Police. The next course will take place on the 5th, 6th and 7th (time: 14:00-22:00, Saturday 08:30-16:30) of May 2016 in Larnaka. The cost of participation is €250. The next course will take place on the 9th, 10th and 11th (time: 14:00-22:00) of May 2016 in Limassol. The cost of participation is €250. 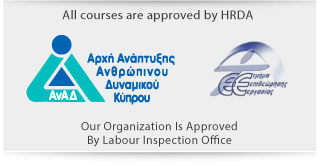 This Course is in line with the government requirement under the Cyprus Law Ν. 125(1) / 2007 for Police approved Security Officer Licensing. Taking into account the ever growing demand for licensed security officers, this course ensures that delegates are fully trained and qualified as security officers having the official necessary license to work as company-employed or self-employed licensed guards. The license is valid for 5 years enabling the delegates to benefit from the increasing demand for Professional Security Officers and assisting them in their career development. This is an exciting, interactive course, providing professional value to delegates who will be taught life-altering skills such as strategic communication skills and stress management skills as well as receive certifications on First Aid and Fire Safety. Relevant knowledge of the legal implications / requirements will also be taught in order for them to become experts within the security industry. Our aim is to consistently develop competent professionals thus contributing to the safety of our fellow-citizens and the community our trained guards serve.